Most of us here are already next-level Disney fans, frequenting the parks and keeping up with current events; we love anything that provides a whiff of that Disney aroma. We use many words to describe our Disney vacations: exciting, magical, busy, crowded, exhausting. But what if you could replace that last one with “relaxing” instead of “exhausting”? What am I on about, you wonder? We can all agree — there is nothing relaxing about Disney Parks. Magical, thrilling, memorable, but not relaxing. Then again, maybe we aren’t thinking far enough outside of the Disney Parks box. Disney vacations don’t come along all that often, so when they do, we want them to be a little bit of everything. So this year, instead of booking another same/same vacation to the Disney Park of your choosing, what if you look at doing something a little bit different? Today I am going to walk you through the ultimate split stay for your next special occasion, and it isn’t in California or Florida. Your next adventure is waiting for you on the Island of Oahu. Breathtaking scenery and a relaxed way of life that can only be found in the Pacific Islands are just the beginning as you embark on your journey of a lifetime. Where are we headed? 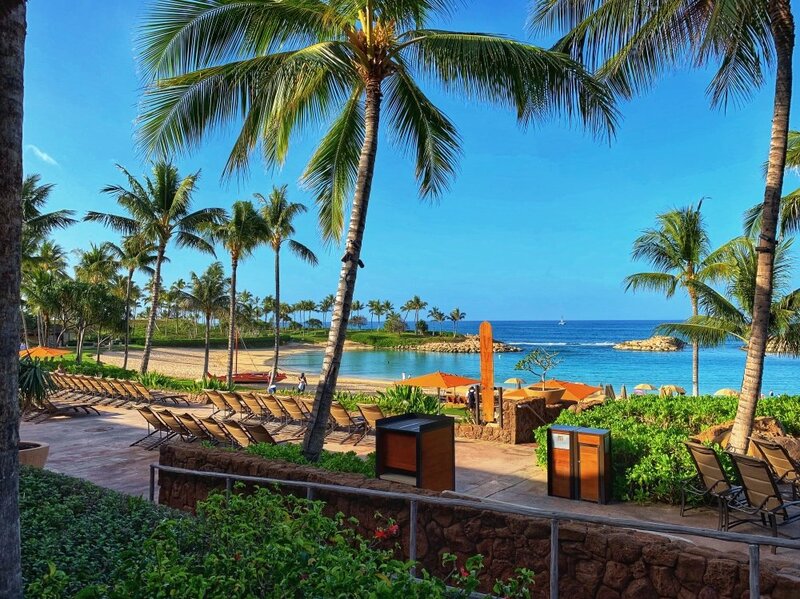 The majestic Aulani, A Disney Resort & Spa in Ko Olina and then on to the natural beauty, excitement, and convenience of Waikiki Beach. 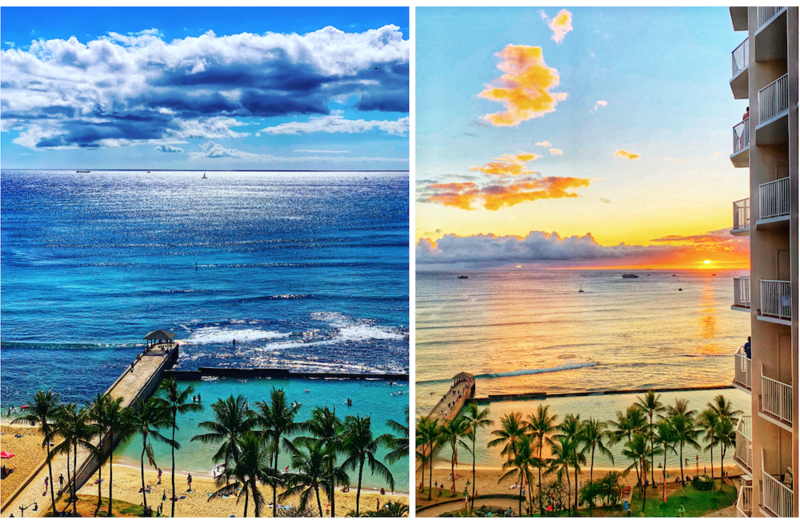 The reason why these two locations fit so well together is partly due to their vast differences, and yet the shared Hawai’ian spirit of Aloha. Aulani is a place where families can have an all-encompassing experience with no need to leave the property unless desired. Waterslides, activities, private beaches, restaurants — it is all in one place. 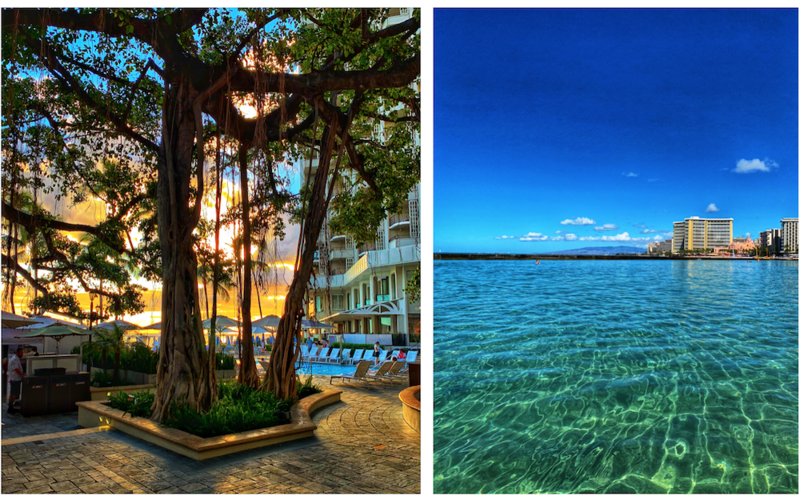 Waikiki, on the other hand, is perfect for leisurely exploration. The main strip of Kalakaua Ave is easily walkable and ducking in and out of the stores along the way is no trouble for a hit of air conditioning or a spot of shopping. 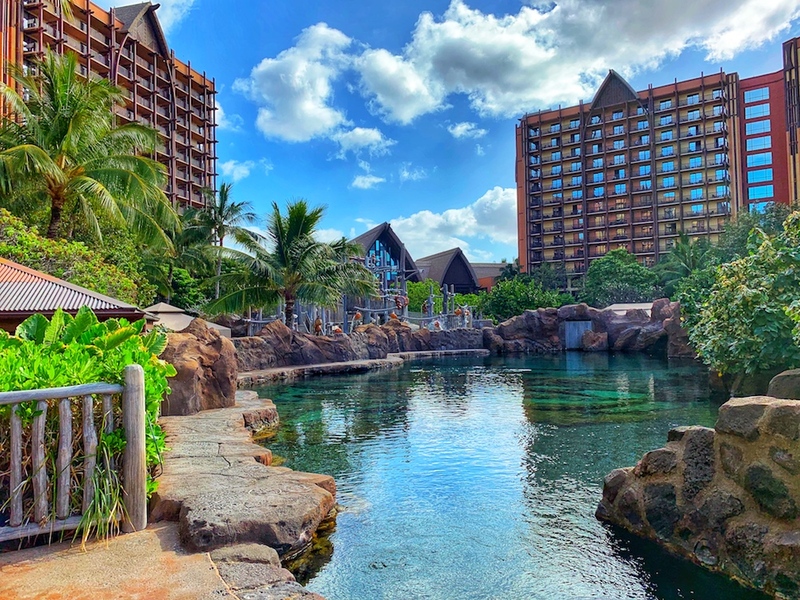 The Aulani resort has a very secure, insular feel to it whereas the main strip of Waikiki offers every type of restaurant you could ask for along with some of the best views on the island. Not to mention a zoo, an aquarium and every water sport you can think of. When we travel, we are always coming from an island at the bottom of the world — so for Australians, once we decide to become fully fledged members of the traveling lifestyle, we are committing ourselves to hours upon hours of travel time. Because of this, just a week is often not long enough to justify the travel, making a minimum of 10 days the appropriate length of time. Also if you count your travel days from Friday through to your following Sunday, you can fit in this length of time without skipping more than a handful of work or school days. Let’s take a look at how you can spend your ten days in paradise. 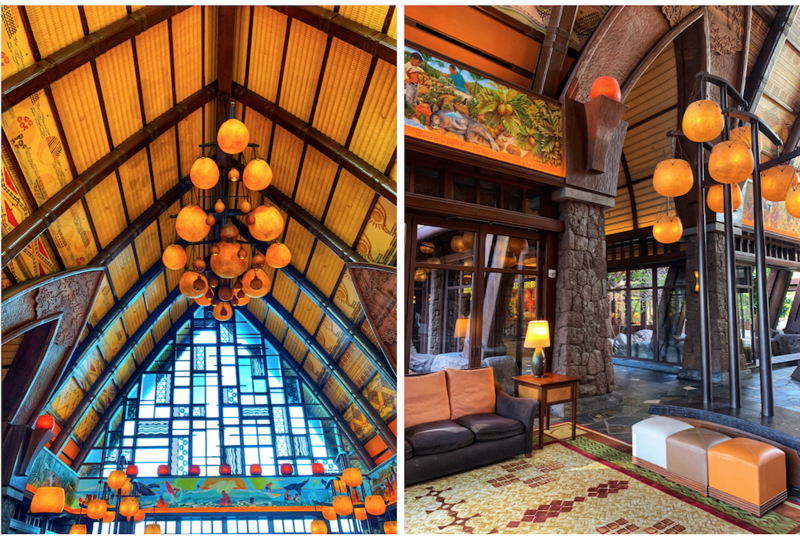 Checking into the resort will take your breath away; the wooden accents that make the decor of this island-inspired resort pull at your heartstrings as a little voice inside you whispers, “You are home.” The resort doesn’t initially scream Disney at you as one might expect. 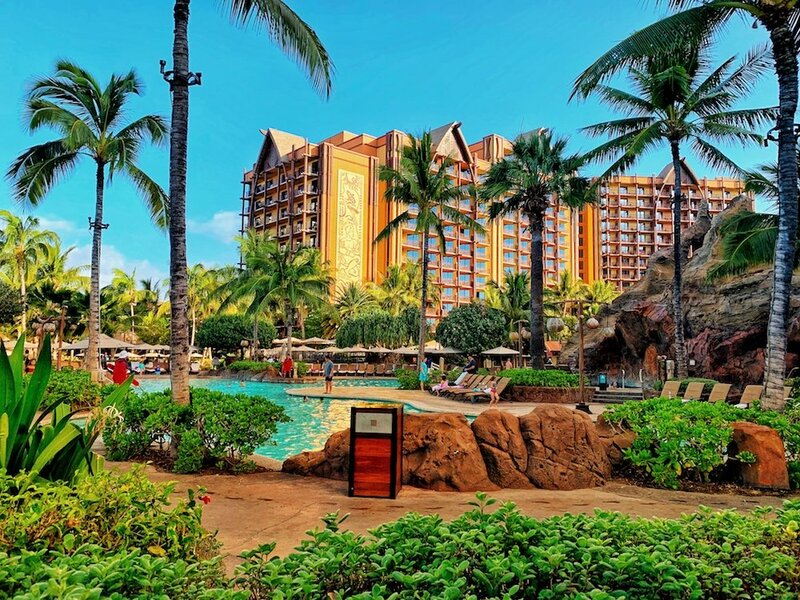 That overwhelming feeling of being confronted by a wall of color and characters that can be experienced at some Walt Disney World Resorts is nowhere to be felt in Hawai’i. The relaxed atmosphere and kind, soothing culture instead take you through a much gentler introduction to the resort and its uniquely Disney elements. 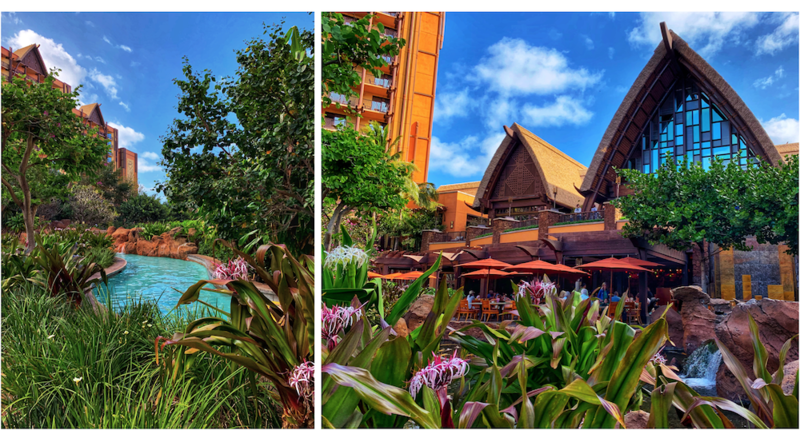 The grounds of Aulani are perfectly manicured and simply roaming around can be an absolute joy. The gardens are lush and full of color alongside the theme of moving water that can be found at every turn; a soothing nod to an element so fundamental to island life. The flow of this resort is conducive to feeling a lot more carefree that you would ever be at a Disney Park. With short waits to brush shoulders with characters and a photo opportunity everywhere you look, Aulani has been dressed to impress the most devout Disney fan. Even Aunty’s Beach House kids’ club is the perfect blend of Disney and Hawaiian tradition. With many water activities for kids, the resort can keep your family on their toes for several days without needing to leave the premises. Everything from water slides to snorkeling are readily available, yet that Disney touch of each attraction being hidden from the next has definitely been worked into the landscape. This is both a bonus, as it adds more focus and enjoyment to the activity you are participating in at the time, as well as a downfall as many may make the mistake of thinking this will be the sort of resort that you can let your children roam free and always be able to see them from somewhere. But we will get into that a little more another time. There are several dining options onsite that cater to everything from buffet-style meals to full-service signature dining. The ocean-front restaurant ‘AMA ‘AMA has wonderful food and spectacular views. If you are considering this location for breakfast, check out our recent review of this dining location where we were impressed with the quality of food, service and immaculate scenery HERE. So why wouldn’t you want to stay here the entire time? Well, rooms are expensive, and while the all-round experience of feeling catered for in every moment can be a wonderfully indulgent one, it is easy to feel a little claustrophobic, confined within the shadowy walls of Disney when the island has so much more to offer. So let’s now turn our attention to the second half of your luxurious escape, Waikiki. The adventure begins. Sometimes you need a holiday from Disney. It can be hard to go from the hustle and bustle of character buffets and all-day action back to your regular work day; that is where your stop-over in Waikiki comes in. Even though you could spend your time the way I usually do — an early morning trip to the beach, followed by lunch, an activity and then some pool time before dinner — if it is your first time to the island you definitely need to see a little more of it. 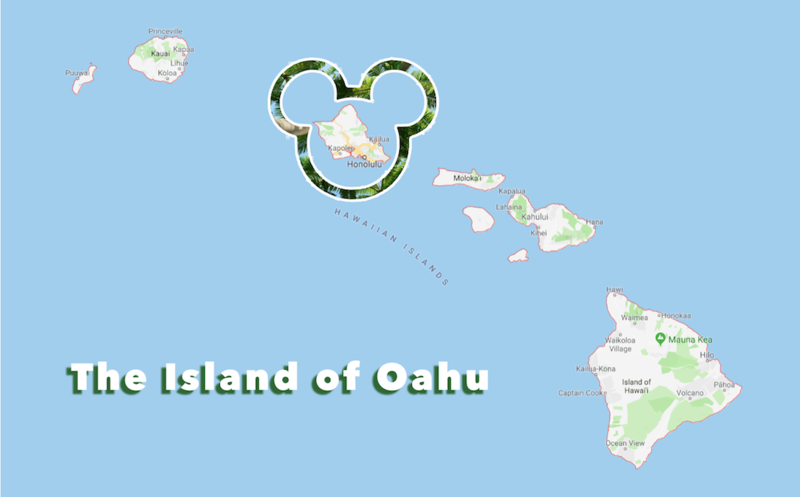 Check out my article about three day-trips to take outside of Aulani to see some ideas for where you can go to take in the best of the island. Most hotels have the option to upgrade to an ocean front or ocean view room, which I highly recommend. 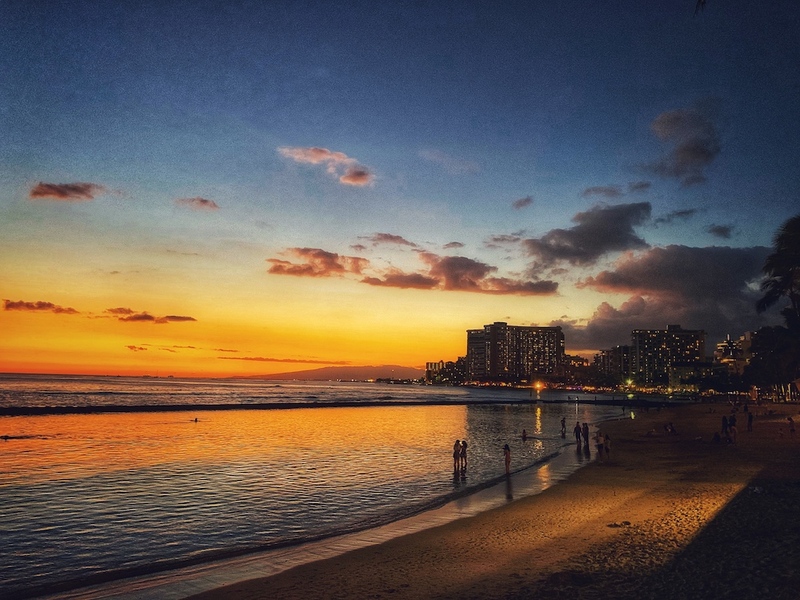 As this portion of your vacation is all about the ambiance of the area, waking up and falling asleep to the beautiful sights and sounds of Waikiki is imperative to achieve maximum awe factor. The views change spectacularly from day to night with the different colors of the ocean and sky transforming your view by the hour. If you aren’t able to get a view like this one don’t worry, you still have the opportunity to snag a life-changing sunset or two with some smart dinner reservations. Find out what time the sun is expected to set when you will be on the island and book your dinner reservation for at least 20 minutes before the predicted setting time. Remember that at some times of the year the sun sets further to the right side of your view and can be obstructed by the mountains. You will still be able to take in the transformation of the sky, which is made even more memorable when there are light clouds to bounce the colors around, though you won’t get to see those last moments where the sun slips over the visible edge of the ocean. There are so many things to do in Waikiki within walking distance of most of the hotels. 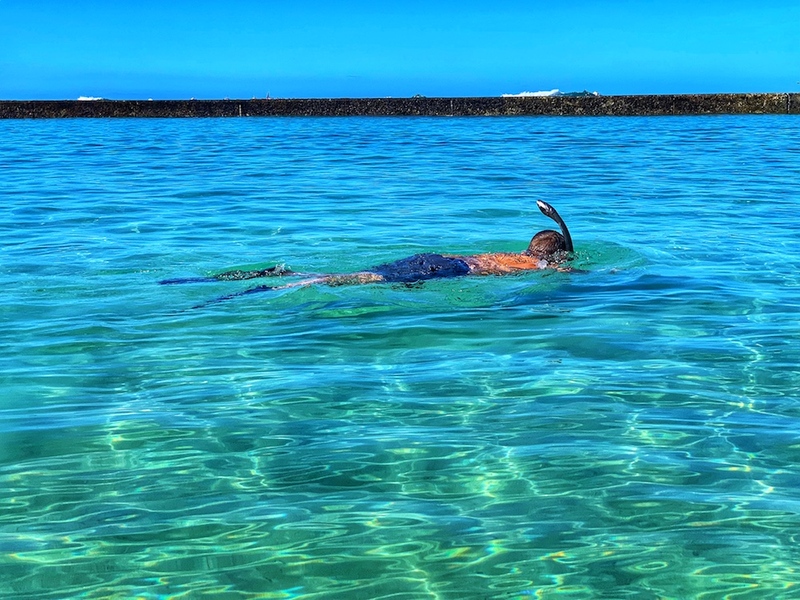 As mentioned you have the Honolulu Zoo, the Waikiki Aquarium, Ala Moana shopping center, all the enchantment of Kalakaua Ave and so many opportunities to learn to surf, snorkel or catch a catamaran to go and explore the ocean. Take in a Luau; either at a dinner-and-show style paid event like at the Royal Hawaiian or grab some takeaway and stake out a good spot for the free hula and Hawai‘ian music show. It can be located across from the Hyatt Regency, at the Kūhiō Beach Hula mound on Kalākaua Ave near Uluniu Avenue. Enjoy the torch lighting and traditional sound of the conch shell that open the show which is held every Tuesday, Thursday, and Saturday, from 6:30 pm to 7:30 pm (6:00 pm to 7:00 pm Nov-Dec-Jan), as long as the weather allows. If you are enjoying the sound of that free entertainment, remember that you don’t need to spend a lot of money in Waikiki to make your vacation special. Our kids spend hours snorkeling in the protected areas of the beaches where fish of all colors and sizes zip around in a busy frenzy, entertaining our children for hours. Make sure to take a break during the middle of the day to spare your skin from the harsh sun. We like to use this time to buy a few sandwiches at some of the local shops like Ted and Bevvy that sell sandwiches and ready-made picnics. 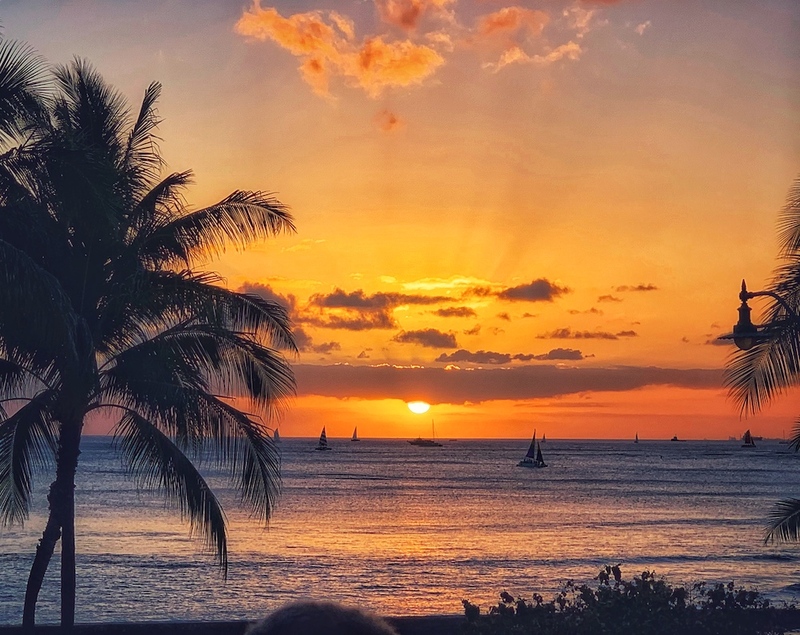 After an afternoon dip in the pool, make your way to your dinner reservation and soak in the magnificent sight that is the setting of the sun over the Pacific Ocean and Waikiki Beach. Not bad right? If you are looking for a vacation that will serve the needs of everyone in your group, both Disney fans and explorers alike, look no further. These two stops will tick all the boxes, allowing kids to have some crazy water fun and get their Disney on while adults can have their own fun without the stress of the theme parks we are all used to. The further into the magical land of Oahu you venture, the more you will find the heart of the Hawai’ian spirit with shrimp trucks, amazing hikes, beaches and vistas that you’ve only ever dreamed of. The beauty of this split-stay is that you can do it over and over again; each time finding new and exciting ways to make memories in both locations, without overdoing either one to the point of boredom.